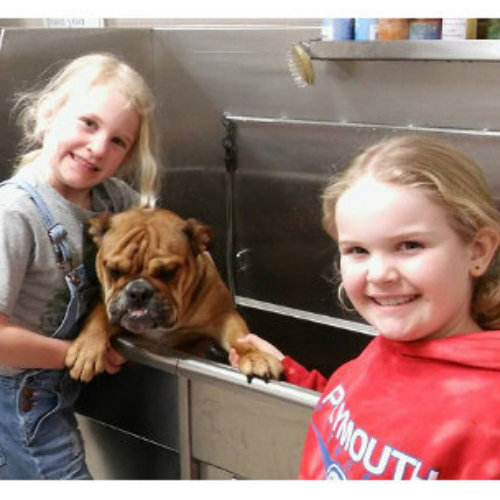 The self-serve dog wash at Soldan's Bay City, Midland, and West Lansing locations are sure to become your favorite. Your pet's wash includes premium shampoo, conditioner, cologne, ear cleaner, a high velocity blow dryer, brushes, combs, bows & of course treats! We also provide towels and aprons to keep you dry. 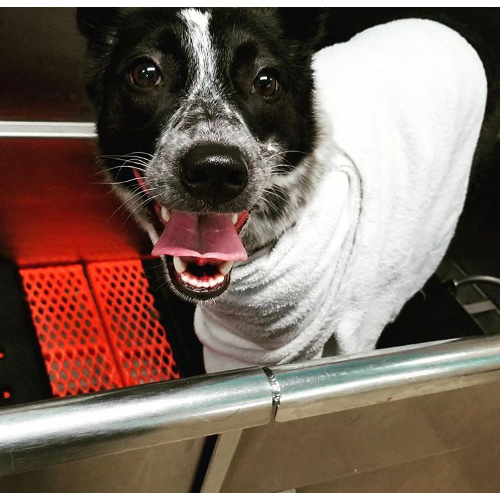 Come in, wash your dog, and leave the mess to us! Join our Frequent Washer program! Buy 10 dog washes and get one for free. If your dog has been sprayed by a skunk we request that you please bring them in one hour prior to closing. Soldan's is a flea-free environment. We have flea products for you to purchase and take home if needed. All animals are welcome in the dog wash. We've had cats, bunnies, ferrets, and even a mini horse. 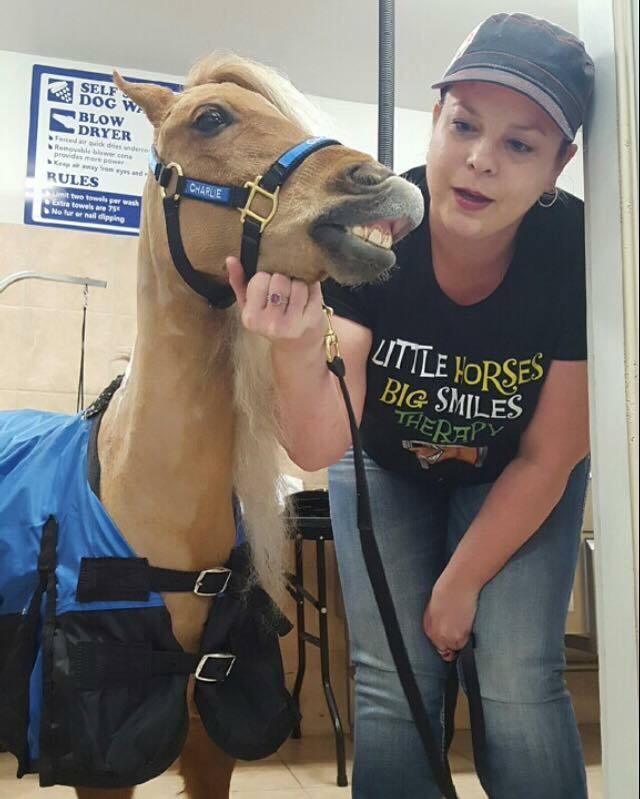 That's right, Charlie the Miniature Therapy Horse stops by on occasion and uses the dog wash before visiting his patients. To learn more about Charlie & his mission, visit their website.